Update: At about 1:45 a.m., Arturo's mother posted that he has been found. No other details to share at this point. Thank you to everyone who kept eyes and ears open, who shared information about Arturo with family, friends and neighbors, and who offered prayers. 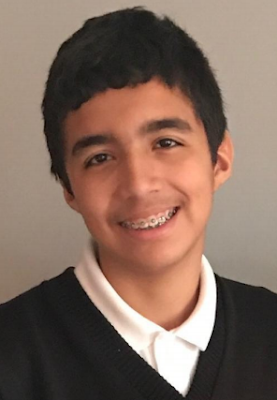 person" alert relating to 13-year-old Arturo Correa, who was last seen on the 4800 block of South Leamington at 7:45 a.m. Thursday, September 7. Arturo is 5-foot-6 and 125 pounds, with brown eyes and brown hair. If you see him, please call 911 immediately. If you have other useful information to share, please call CPD Area Central detectives at (312) 747-8380 and refer to case JA 422654. As the Southwest Chicago Post always does when a child of our community is missing, we urge everyone to keep eyes and ears open--and work together to see to it that Arturo is found and returned safely to his family.